Cell phone signals have become much more reliable in the last few years. Making calls from your office, home, or school typically presents few problems. However, try to upload a video or stream music while out and about, and your mobile experience may be slower and interrupted. This is due to a combination of factors, such as modern construction blocks and a skyrocketing demand for wireless data bandwidth. Distributed antenna system (DAS) is a technology designed more than 20 years ago to extend wireless coverage and capacity, meant to reach beyond local cell towers. 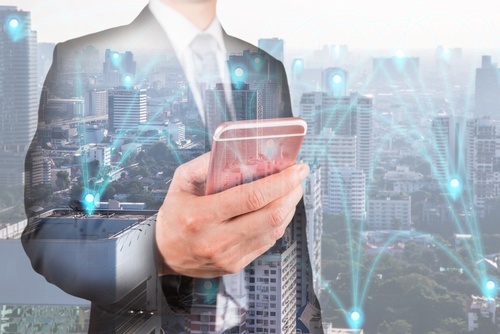 Similar to small cell, DAS allows cell phones and other wireless devices to work reliably in situations where the existing infrastructure doesn’t provide sufficient coverage or capacity. In settings with poor cell coverage for any of these reasons, DAS can be used to supplement the signals from towers, providing stronger, more reliable coverage within a specific area. DAS is also used to supplement cellular capacity in locations where large numbers of people gather, such as concert venues, sports arenas, or public plazas. These sites often experience data usage “spikes” (periods during which a significant quantity of data is used at one time). Such situations can quickly overload a local network. DAS can supplement the existing infrastructure with enough capacity for periods of high usage in a geographic area. How is DAS Different from Small Cell? Here are 7 Ways. DAS has been in use much longer than small cells, and is often referred to as the original small cell. Both technologies share similar power outputs, coverage areas, and size. Supply: DAS uses one central power supply for multiple nodes, but small cell typically requires dedicated power supply for each individual node. Cell Organization: DAS can use many nodes simultaneously to function as a single, large cell; while small cell functions as a network of individual cells. Frequency Support: DAS can support multiple frequencies (2G, 3G, 4G/LTE, 5G, VHF bands); small cell typically supports a single, defined frequency. Multiple Service Provider Support: DAS can be shared by multiple carriers, each connecting their own base stations to the shared RF distribution system. Current small cell technology is primarily single-carrier. Scalability: A single DAS base transceiver station can serve up to approximately 1,800 users and provide a coverage radius stretching several miles long by adjusting the power to the antennas. Small cell technology typically supports a couple dozen simultaneous subscribers, and is designed to deliver coverage over a smaller area (similar to a Wi-Fi access point). Adding more coverage requires installing more nodes. Backhaul: Each individual small cell requires its own backhaul connection to the network source, while an entire DAS network requires only a single backhaul connection. Deployment: The primary benefits of small cell is that the technology can be deployed faster than DAS; is less design-intensive; and has lower up-front costs. Small cell and DAS are solutions for different needs, and can be viewed as complementary technologies. The most appropriate solution for a given application should suit the details of the project and the stakeholders’ objectives. Both DAS and small cell can be used together to deliver a lower cost of ownership and easier deployment. With the recent growth of these technologies, pole owners and pole attachments are struggling to keep up with new permits. The anticipated 5G is coming, and providers are wondering what to expect for the joint use world. We discuss the future of small cell technology in our next blog post. Do you have concerns or questions about the ever-growing rate of attachment permits? What are your thoughts on the recent small cell expansion? Help start a dialogue about current trends. Share your opinion or experience in the comments below.